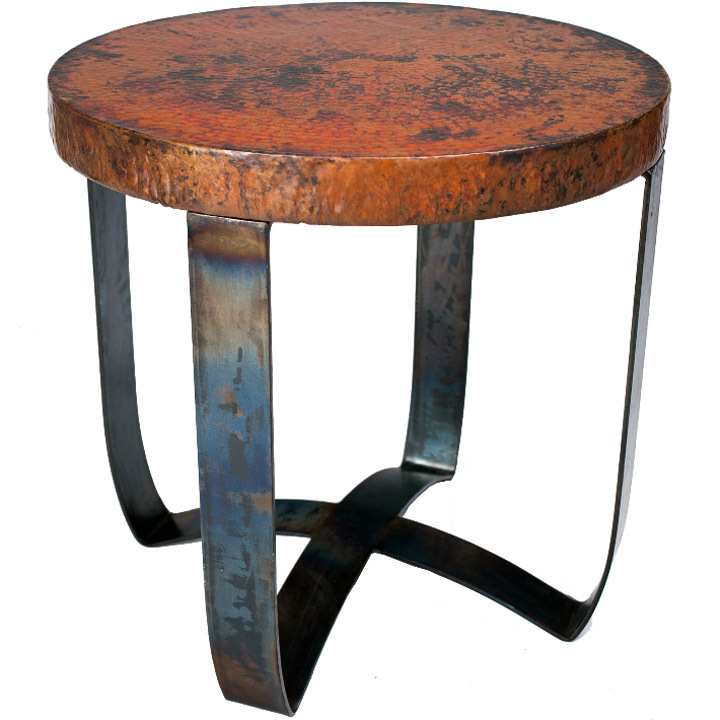 Customize this on trend and hunky iron strap end table with your choice of hammered zinc or hammered copper! 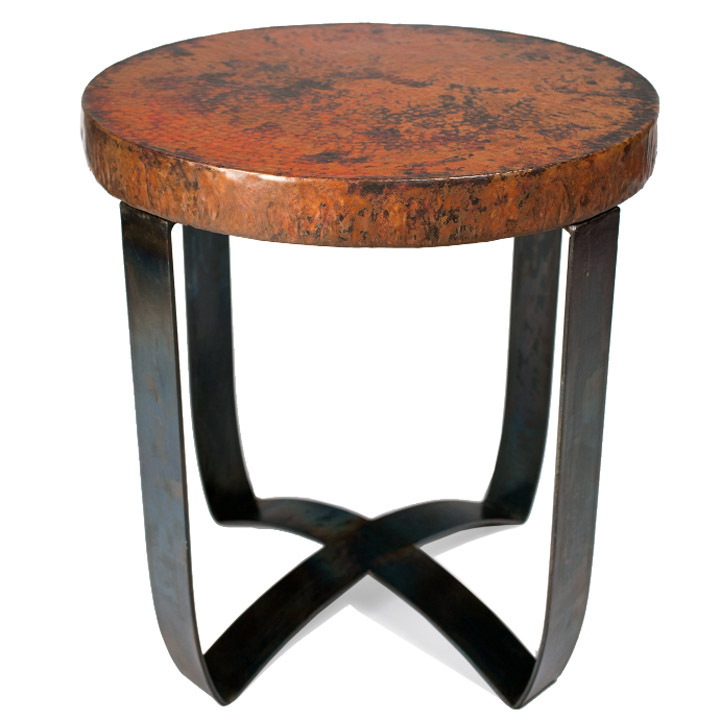 Even the simple, modern base is available in black, fire or rust. You're the designer for this one of a kind piece! Weight: w/ top @ 48 lbs. 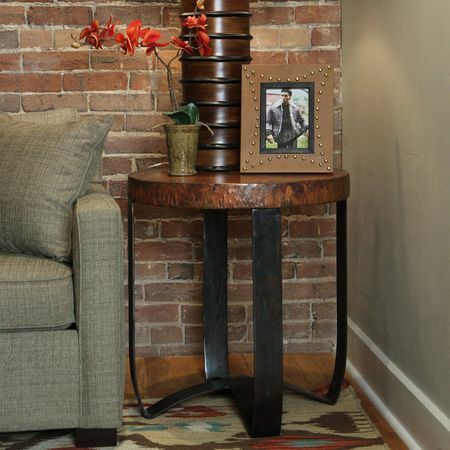 Finish: The metal base is available in a black, fire or rust finish. The top is available in hammered copper or zinc. Select the view options tab to view.